One of my greatest joys in life is having a relaxing night at home in comfy loungewear with one of my favorite meals and a chill movie. Having these nights fairly often allows me to recharge and to prevent any kind of burnout. I've gotten the formula down pretty well and have perfected my relaxing evening routines. It's super easy and you only need a few things! Candles are the number one requirement for a relaxing night and the candles from D.S. & Durga recently caught my eye. The packaging is very pretty and, like many favorite fragrance brands, each scent comes with a story. 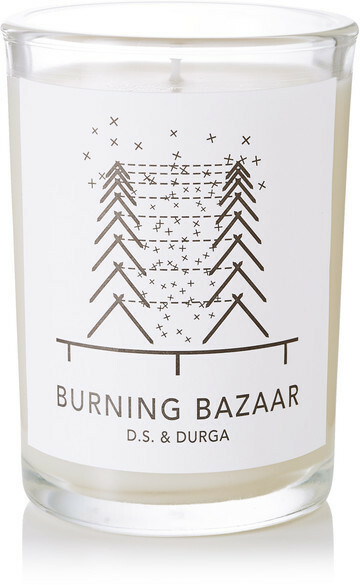 My recommendations for a relaxing night candle are Burning Bazaar (inspired by a fictitious fire that broke out at the Fabledorf holiday market in 1261, the scent is supposed to smell like a birch table found in ashes) or Spirit Lamp (with notes of white ginger, coconut, musk, and bohea tea). Outfit your couch or bed with the coziest blanket you can find. There's nothing more relaxing to me than wrapping myself in a blanket and hibernating. It reminds me of sick days as a little kid when you'd stay home under a blanket all day watching daytime television. I'm typically partial to mock fur throws but I also love the hand loomed blankets from Jaipur Spirit. Create a zen environment by spraying your space with a calming essential oil room spray. You can either buy a bottle or easily make your own with water, vodka/witch hazel, and drops of essential oils. Some great relaxing scents are lavender, vanilla, rose, chamomile, bergamot, and vetiver. Create or find a relaxing playlist that suits your taste, whether that's zen spa music, classical, jazz, acoustic, or anything else. There are tons of chill playlists in the mood section of Spotify, such as: Relax & Unwind, Your Favorite Coffeehouse, and Calm Vibes but my go-to's for relaxing music are Damien Rice and Chet Baker. Now that your environment is set up, put together some snacks or a comforting yet healthy meal. Pick up some popcorn or vegan candy from Whole Foods or a brand like Sakara Life. Or try baked vegan mac and cheese, Chloe's avocado pesto pasta, or a healthy cookie dough milkshake. Dish it all up in cute serve ware are head back to your cozy place. Put on your favorite, coziest loungewear. My favorite loungewear brand right now is Eberjey because all of their pieces are feminine and super pretty, but also soft and comfortable to lay around in. Uniqlo also has amazing loungewear---my favorite thing to wear is definitely my Uniqlo fluffy yarn pants. Add a pair of cozy socks and you're all set. On relaxing nights, I think it's important to watch something light. I always find Miyazaki movies to be the perfect movies for relaxing. They're beautifully animated, but the Japanese animation is slow and easy on the eyes plus they're so cute that you can't help but feel happy watching them. Personally, I also like to watch Real Housewives of Beverly Hills on relaxing nights because it's funny, outrageous, and so intellectually insignificant that it gives your brain a rest. Finally, multitask by using a face mask while watching your movie/show. 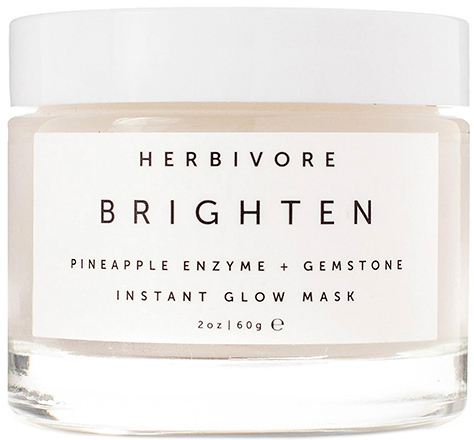 The exact mask obviously depends on your concerns, but it's fun to use something luxurious like the Herbivore Brighten Mask or the Omorovicza Deep Cleansing Mask.